Cognitive / Why is curiosity so important and how can we encourage it? Babies are born curious – they come into the world with an innate desire to understand how things work. They are drawn to new things and experiences, they question, explore, and, by doing so, they learn! If you want your child to be a lifelong learner, the best way to do it is by cultivating his curiosity. All children have some level of innate curiosity that motivates them to explore. However, it is important that you take into account your child’s particular curiosity style. Remember, not every child is the same. For example, some children like to explore with their minds, while others prefer to do it through physical activities (touching, crawling, smelling, or tasting). Provide opportunities for each style within a safe and encouraging environment! Research has shown that it is a child’s inner desire to learn (their curiosity), not external pressures, that motivates them to seek out new experiences and solutions. Curious people are “seekers” of knowledge. They do not only enjoy exploring, but they actually like to look out for challenges. Curiosity helps people approach uncertainty in a positive light. A recent study conducted by researchers from John Hopkins University revealed the critical role curiosity plays. In their experiment, when babies were surprised –that is, when their expectations of an object’s behavior was challenged– researchers discovered that they learned best! Curiosity drew babies to test, explore, and consequently figure out what was going on to better understand the situation. Given the importance curiosity plays in learning, how can parents nurture their child’s curiosity and make them become knowledge “seekers”? Follow your child’s interests – Children learn best through activities that capture their attention and ignite their imagination. Find activities that your son likes and do them together often. For example, if he likes a particular type of music, then play it for him or even dance together. If he likes animals, take him to the zoo or read books about his favorite animals. 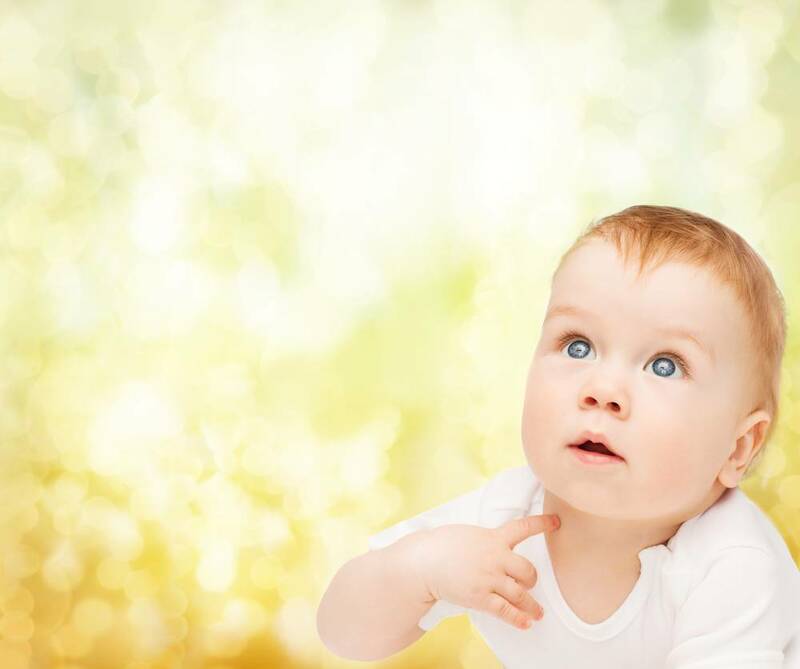 Create an interesting environment – Babies spend most of their time observing their surroundings. They’re curious about their environment, so make sure you provide safe toys and objects that your baby can explore and that stimulate his senses. Redirect, don’t discourage – Children, even as babies, need to move to increase brain connections. Remember that no child is a passive learner! Try to figure out what is capturing your child’s interest and find a safe way for him to analyze it. Use as little restrictions as possible, but always verify his safety. Make time for pretend play – Although you may find some of the new electronic toys the most appealing, you should once in while try to include objects such as boxes, blocks, or sand. Granted, they may seem dull, but they can be used in imaginative ways too! In fact, these toys are excellent learning tools because they let curiosity lead the way when children play with them. Do not tell your child what to do with the material, how to use it, or what it should look like in the end. Let your child’s curiosity be his guide! Use open-ended questions – This tip is for older children, but it’s still worth mentioning. Make sure you avoid questions that have a “yes” or “no” answer. That way, you will stimulate your child’s mind, encouraging him to develop his thoughts and ideas. Try to use questions like: “How do you feel about X” or “What was the experience like for you?”. Knowing how to cultivate your child’s curiosity is very important, but there are 3 things you should also keep an eye out for: the curiosity crushers. According to Dr. Bruce D. Perry, M.D., Ph.D., an internationally recognized authority on brain development and children in crisis, these are: fear, restrictions, and absence. Fear: It is the #1 killer of curiosity. When a child’s world is hectic or when he is afraid, he is not likely to explore. Remember that the way you handle a stressful situation, and they way you encourage further exploration helps with his development. Restrictions: When saying the words “Don’t, Don’t touch. Don’t climb. Don’t yell. Don’t get dirty”, children sense and respond to our attitudes and fears. If we convey a sense of disgust at the dirt on his clothes, their excitement for discovery will be diminished. Use as little restriction as is safely possible. Absence: The presence of a caring, encouraging, and invested adult provides essential factors for optimal exploration. It gives your child a sense of safety as well as reinforcement and approval for his discoveries. Overall, remember you are your child’s first and most important teacher. Explore curiosity together with enthusiasm and introduce him to new experiences. Don’t forget that children explore with their senses, so provide enough opportunities for him to use them in his environment. Take into consideration your child’s abilities and age, little by little, introduce new experiences and objects that feature different shapes, textures, tastes, colors, and sounds. Remember that helping your little one learn to use curiosity through exploration is one of the best skills you could ever cultivate! If you want your child to be a lifelong learner, the best way to do it is by cultivating his curiosity. All children have some level of innate curiosity that motivates them to explore, however it is important that you take into account your child’s particular curiosity style.